For over a year, we’ve only been two mules (Lady and Little Girl) and the monk. 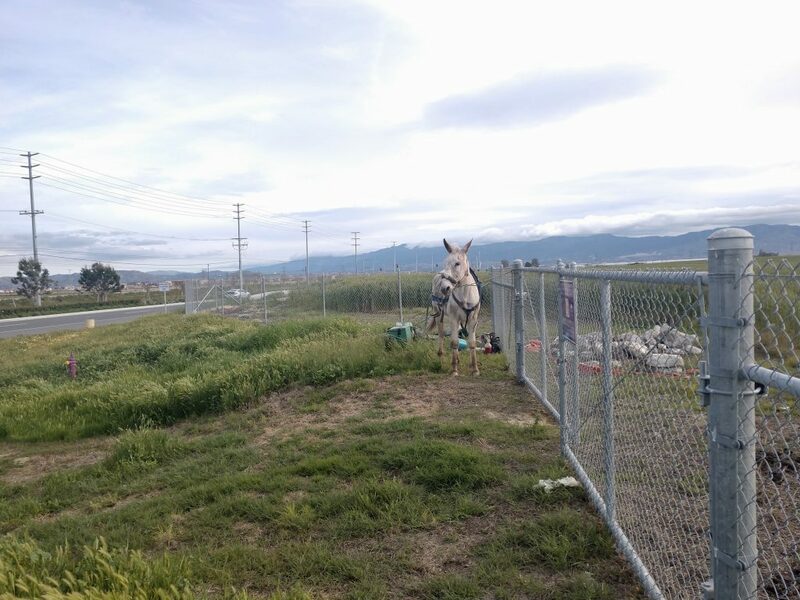 Originally, Pepper, the third mule, traveled with us for 14 years, and did a very good job. Her tendon in one of her legs broke down and she was not able to do the job anymore. She had to be retired and currently lives as a pet on a property in Malibu with other horses and donkeys that she has for company. When Pepper retired, we were given another mule named Fred, who was injured and had to be put down. Thus for over a year, there has only been the three of us. 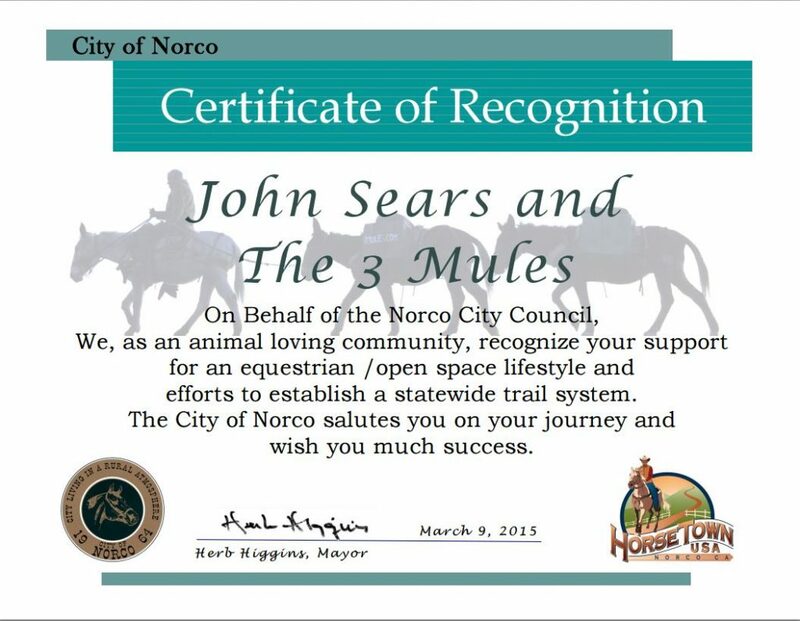 This past weekend, we got a third mule in a magical, mystical sort of way after we were invited to spend a few days at the horse arena in Norco. 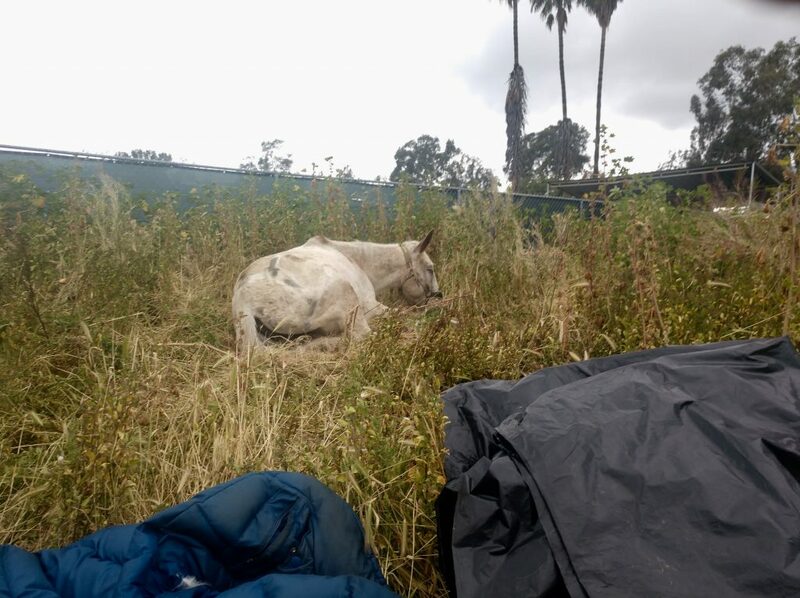 While grazing up in the hills above the arena, it started to rain. Then all of a sudden, some ladies appeared coming up from down below asking a few questions and we gave them a few answers. Then they said, “Do you want a mule?” We said sure, even though we really didn’t. Moving and living in the Megatropolis with two mules is enough. Denise had originally bought the mule to be a riding mule, but found that he was a follower and didn’t like to lead. As well, the mule doesn’t have a left eye and only sees on his right side. 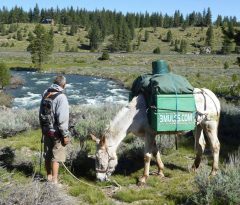 We considered the complexity in adding a third mule to the pack (need to find a place to stay, food, water, more horseshoes, and the new inter mule dynamics to name a few things). As well, we considered the dangers of the Megatropolis of having a mule blind on one side by not being able to see cars, light poles, and other obstacles. At 11 years old, the mule is strong, healthy and full grown. We thought that we’d give him a try and see what happens. We renamed the mule Who-dee-doo (original name was 9-to-5). We take Who-dee-doo back to the corrals and start having second thoughts. Why are we taking a mule that has only one eye? It is hard enough to move through the Megatropolis with mules that have both eyes! Well, we got him now, so we better find out what he can do even though the negative voice within says no way will never be able to do the job. 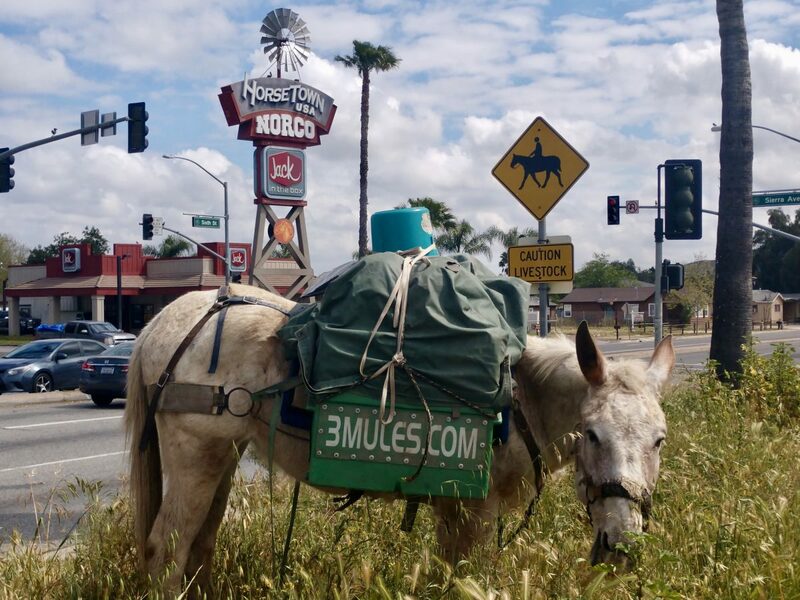 While in Norco, Julie introduced herself to us and wanted to learn more about 3 Mules. During our stay, she got gasoline for our stove. As Who-dee-doo was being prepared for our next journey, Julie asked where we were going. 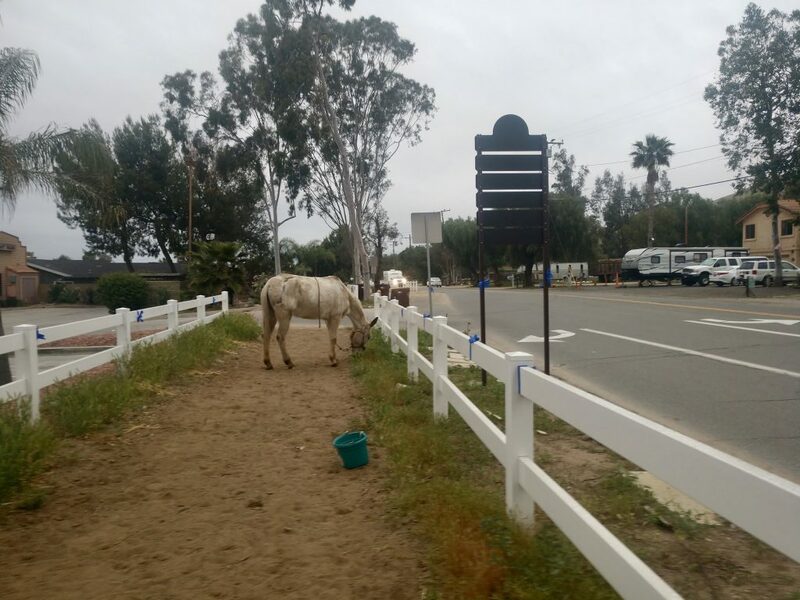 We responded that we had to go to Thousand Oaks to get a saddle. Julie said that she had a saddle for us and brought it back with cinches, saddle blankets, straps, and a brand new proofer. Another gentleman approached us on his horse and joined the conversation. Asked if I needed anything. More horseshoes. He brought back horseshoes with nails. Unfortunately, I didn’t get his name or picture. 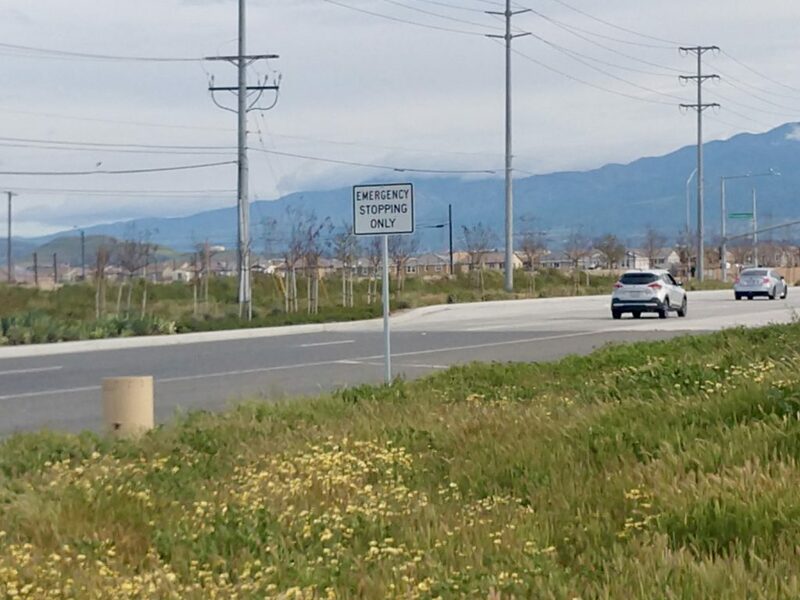 Tuesday morning, we left Norco on a bright sunny day filled with lots of energy acquired from the hospitality, kindness, and generosity of so many people, which we are very thankful. We met many people and we can’t remember everybody’s name to give them proper credit. We proceeded into the belly of the Megatropolis. We walked along the river before arriving in Riverside where Who-dee-doo clipped a telephone pole and scraped a fence. Since those two occurrences, Who-dee-doo has been moving around getting around as well as you could expect from any two-eyed mule. So how is this possible? We didn’t know. 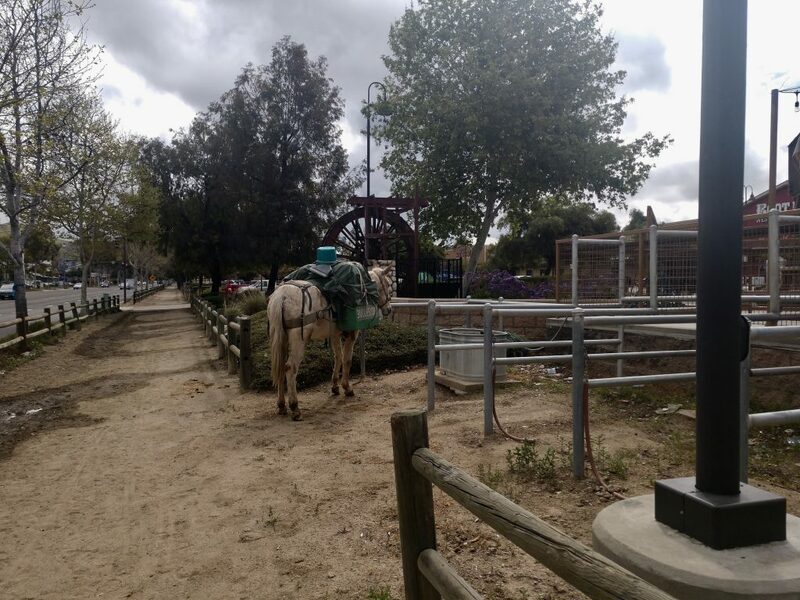 The Monk was setting up and Little Girl was grazing a vacant lot taking a break when all of a sudden Pepper and Fred, the two mules that are no longer with us, appeared in our minds’ eye together. So there’s the answer as to why Who-dee-doo is moving around and getting around so well. Pepper and Fred have come from the energy to be Who-dee-doo’s blind side. 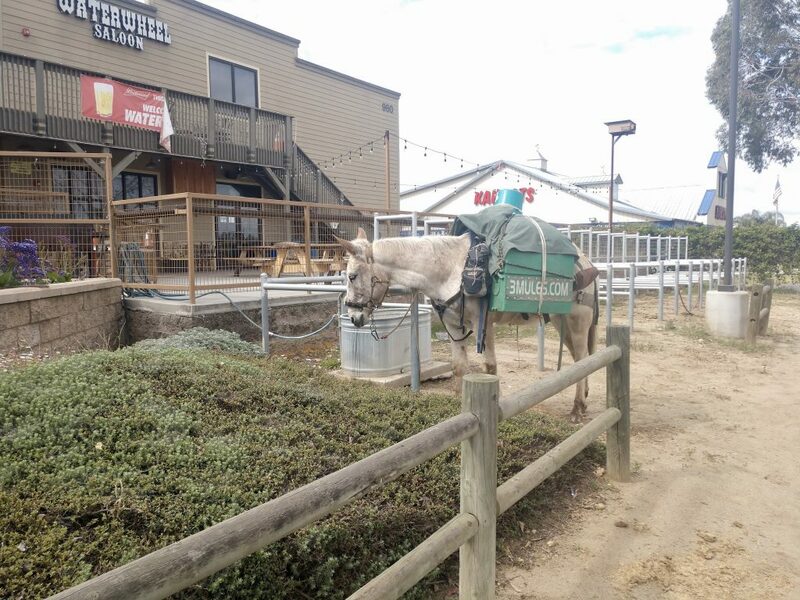 So when you see this place of one human being and three mules (3mules.com) walking through your neighborhood, Who-dee-doo the one-eyed mule has brought a whole new dimension to 3mules.com.